“Like” Zone Perfect on Facebook and you'll be able to request a FREE Zone Perfect Cashew Pretzel bar! They've done giveaways like this in the past and your coupon for a free bar arrives via snail mail in a few weeks! Giveaway: Day Out with Thomas Family Passes! 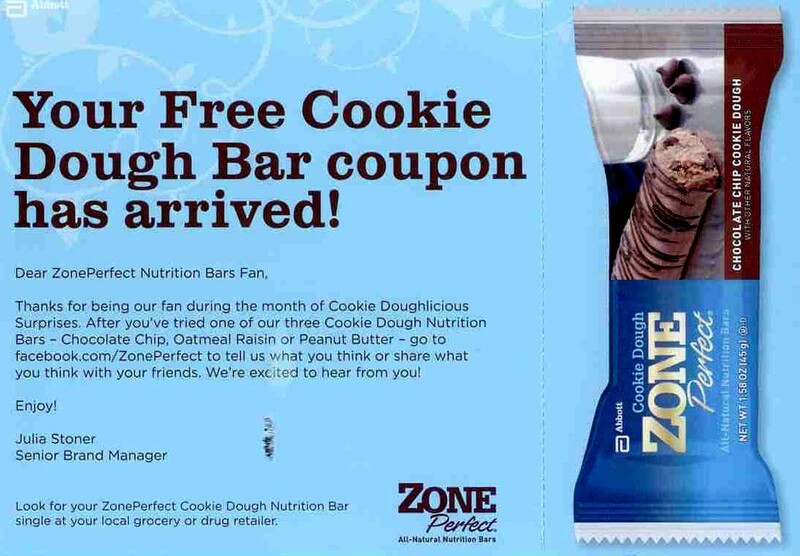 The Facebook offer for the FREE Zone Perfect Cookie dough bar is still available! I received my coupon this morning! Go here to request yours! Great Deal on Neck Ties! BOGO Stretch Island Fruit Leather!